Photographing Connie and Gianni was really fun: They are among the many happy couples that I had the pleasure of working with. 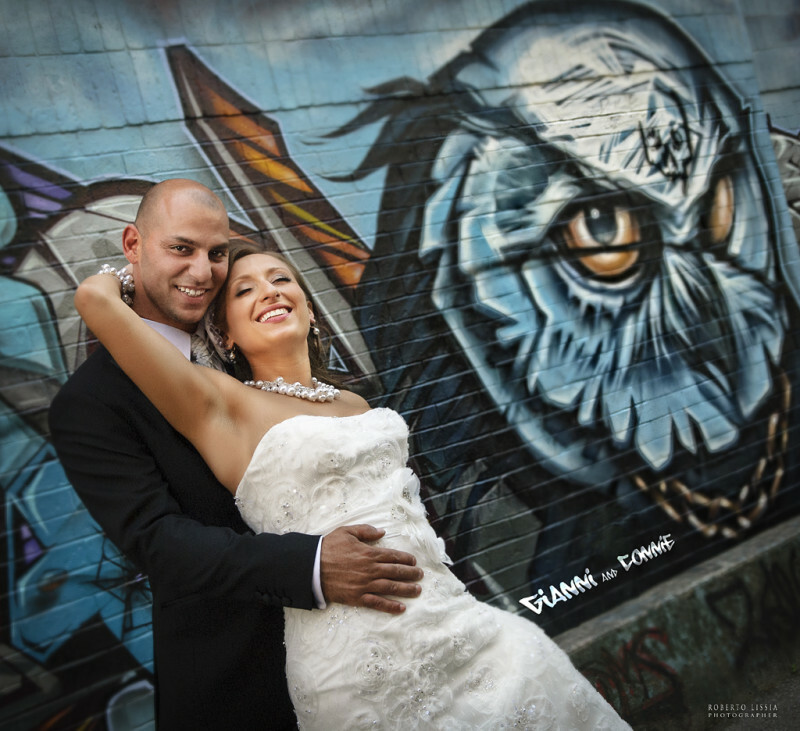 They rented a big bus to fit their large bridal party and, before the formals, we made the time for a brief stop at “Graffiti Alley” downtown Toronto, to snap some fun shots of them in front of the colorful murals. As a Toronto wedding photographer it is a real pleasure to work with couples like Connie and Gianni that completely trust their photographer’s vision. Their joy and happiness clearly shows in their images. I love this image! You seem to have captured such a beautiful moment. 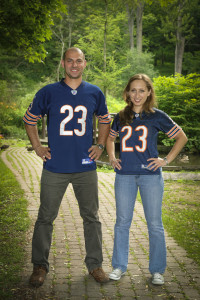 What a lucky couple to have chosen you to photograph their wedding. I would love to see more of their pictures! This picture captures the joy of this couple in such an important day for them. It ‘s beautiful, bravo Roberto! We feel like celebrities in our photos! Roberto – thank you – you captured our wedding day better than we could have expected. We had a great time working with you: you were the subtle one-man crew we wanted plus our families were very comfortable around you (it shows in their smiles). You worked with us to make all our ideas come to life, especially our stop at Graffiti Alley to capture Toronto’s cool urban side. We still get compliments about our photos and I have them all over my desk at work (Gianni looks great!). The candid photos are priceless and of such great quality. I hope other couples take the plunge with you too. Great photos of Connie and Gianni. You captured beautiful moments on their wedding day! Over the years, Roberto has consistently demonstrated absolute mastery of his craft. Robert’s unique ability to infuse every photograph with artistic nuance and showcase the hidden beauty in what others find ordinary, makes him the photographer of choice for artistic professionals and everyone else who values excellence and integrity in art. Wow!!! Great site! The photos are exquisite! I passed your site on to some of my friends who have children that are engaged! Your work is very creative. I wish you much success! Browsing through the photos on this site really shows that the photographer is a key member of the “wedding party”. After all, when the day is over and all the confetti is swept away, your memories will fade but the photographs will always be there to bring the day back to life – if they are done right. For this you need a professional, experienced and talented individual like Roberto; this is not the place to go for the lowest bidder – you only get one chance to do it right. I’ve always admired Roberto’s eye. He’s combined many years of odd and diverse professional experiences to create stunning images that make me stop and catch my breath – yet, in the best of storytelling, make me feel I know the people in the images. His work just gets better and better. Beautiful! Unique! Roberto has that unique talent that not all photographers have. It’s knowing when to snap that special moment. It’s a fleeting moment, but when successfully captured truly reveals the magic and essence of the subjects on that special occasion. His portraits seem to have a unique candid quality that is both timeless and truly original. Thanks for your comment Claudio. Much appreciated. Looking forward to do some more work for you guys.